When deranged scientist Sigmund Glock escapes from prison, he's determined to take revenge on Peter Harrigan, the cop who put him behind bars. With the aid of an evil assistant and a mind-altering drug, Glock kidnaps and programs innocent citizens into cop-killing maniacs. 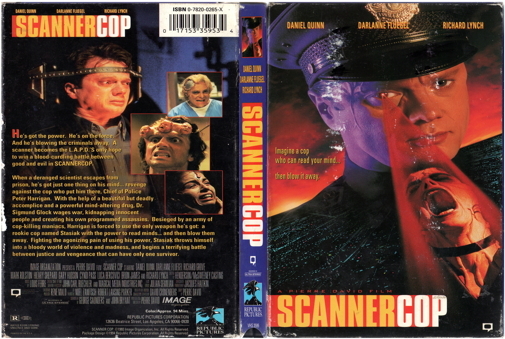 Harrigan's only weapon is a rookie cop with the Scanner power to read minds--and then destroy them.